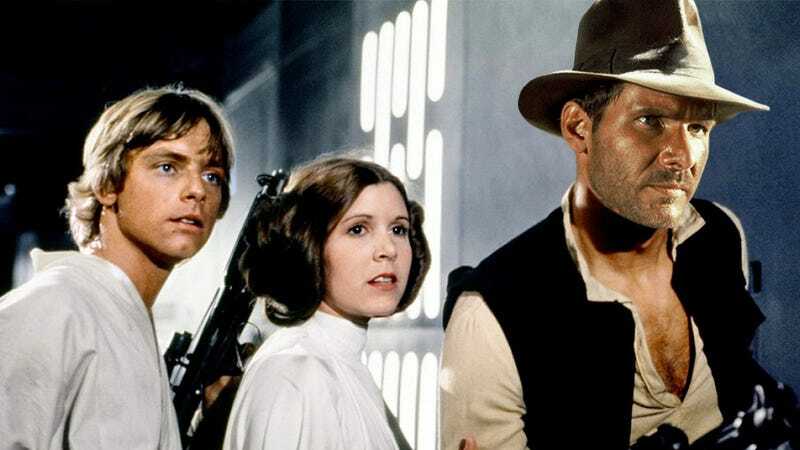 You may have seen this morning's post about the many secret easter eggs that tie Indiana Jones and Star Wars together. And if you haven't, you should! Here you go. Now that everyone's caught up, I'm sure we can all agree that, intentional or not, these secret links are phenomenally well-hidden/clever/awesome. That being said, there must be more of them—or rather, for our purpose, more opportunities to stick some in. So for this week's photoshop contest, we want you to show us what other coincidences might be hiding in these surprisingly similar sagas. Interpret that however you will; the world/jungle/Empire is your oyster. Submissions will be graded on originality, technique, and laffs; you'll have from now until the end of the day this coming Tuesday, October 22 to submit your entry in Kinja down below. We'll announce the lucky winners that Wednesday. And until then, may the force be with you and something-or-other about snakes.